Start Your New Writer’s Year Right! Just an hour or two ago, I made my first folder of 2013. It was a small thing – clicking on “Create New Folder” and filing away some work – but it made the point in my mind nicely enough. This is a new year. It’s time to start this one off correctly, because it’s much easier to continue a good routine than it is to clean up a huge mess later on. Start your year by blocking out a few hours on your work calendar (and get a work calendar if you don’t have one already!) for organization and housecleaning tasks. Sit at your desk with a hot cup of coffee or tea and just clean your virtual house. Start with your client files and make parent folders to hold your specific client files. Personally, I have a folder for all clients inside the rest of my business files. Then I have folders by client name in the “Clients” folder. Inside each of those named client files I have a folder for the year, and inside the year folder, I have folders for each month. Specific projects are filed inside the folders by either the date, the title of the piece or a project name. I set up the system years ago, and it’s simple to maintain. I just add a new folder for a new client, or add a new folder for the year under an existing client as time marches on. Everything for the client goes into the monthly folder – invoices, documents, notes, etc. There are plenty of ways to sort information, but this is one that I've time tested over eight years and it still works beautifully for me. If you don’t already have a back-up or cloud system in place, get one. You should be regularly backing up files, especially financial records and client files. There are programs that do this for you, but so far I’m content with saving everything both on my computer’s hard drive and an external drive as well. (I’m so unsophisticated in some ways). If you don’t already have a back-up system, grab an inexpensive flash drive and save everything once you’ve organized it. It gives you great peace of mind. Then, make it a point to back-up files every week or two moving forward. I’ll totally admit I’m guilty as sin on this one. My personal website hasn't been cleaned up and edited in a very long time, I’m afraid. It’s on my very short list of things to do in 2013, but I encourage everyone to check your own site for broken links, outdated examples of work in your portfolio and other pages that may not be applicable any longer. I am doing a bit more than a cursory cleaning on my own site this year, which may be why I've been dragging my feet. 2013 seems like a great year to change up the site a bit, add some more blogging features, enhance the branding efforts and streamline the service offering. Maybe publicly outing myself as a slacker will be just enough motivation to get started on that project sooner rather than later. I hope everyone’s 2013 is off to a great start! What’s on your short list of ways to start the year off right? I’ve used the same system for my work files for years and it’s very similar to yours. I also back up my files on multiple computers, on a portable hard drive at home, on a portable hard drive at a friend’s house, and online. Thanks for the good advice for the New Year! I backup my files on an external hard drive. I started using an online backup service, but I’m canceling it. I’ll find something else that works for me. Updating my websites is on my To Do List. 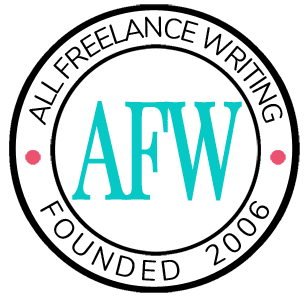 I just added a form to my freelance writer website. Some freelance writers believe people won’t fill out forms, but I’ve noticed some of the top copywriters and freelance writers use them. It will be a good way for me to ‘test’ out the form to see if it works for me. The added advantage of organizing your files is that it makes you use your time more efficiently. A cluttered desktop can actually rob you of a few minutes (or much longer depending on the level of clutter) as you wonder where those important files are.